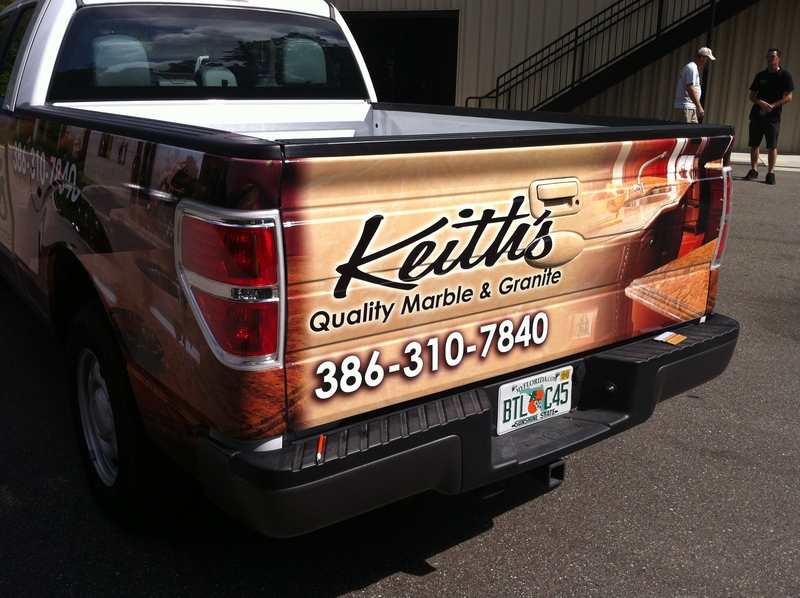 Happy Memorial Day to Keith’s Marble and Granite who is having both F-150’s wrapped with this great look. 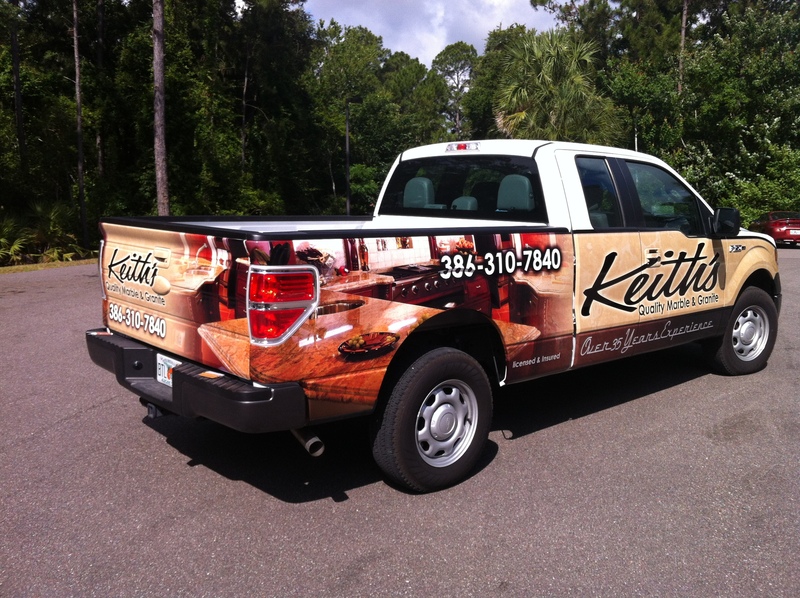 Keith’s have been bring beautiful kitchens and baths to the Daytona Beach area for over 35 years. 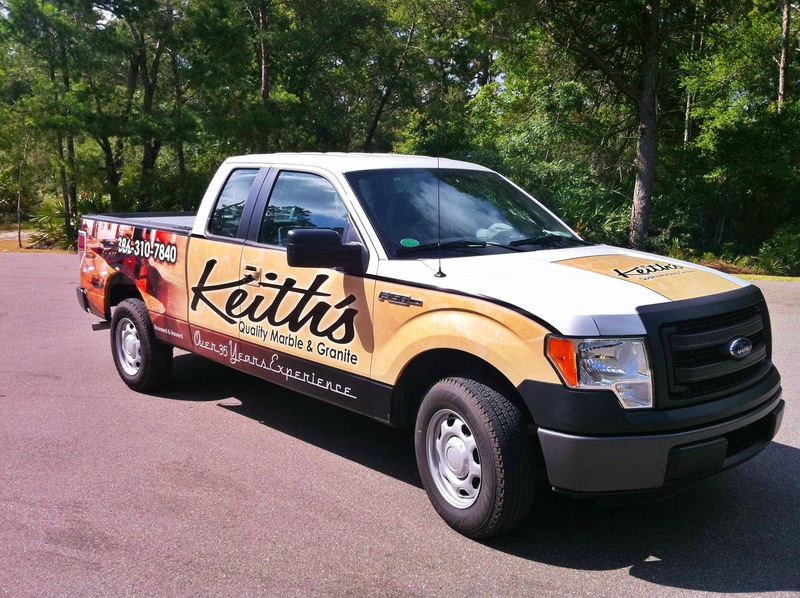 Beach House Graphics is looking forward to wrapping the 2nd F-150 later this week and adding Keith’s Ford Focus to the schedule for June 2013. If your interested in a vehicle wrap but have questions please call Jamie at 386.256.0998.